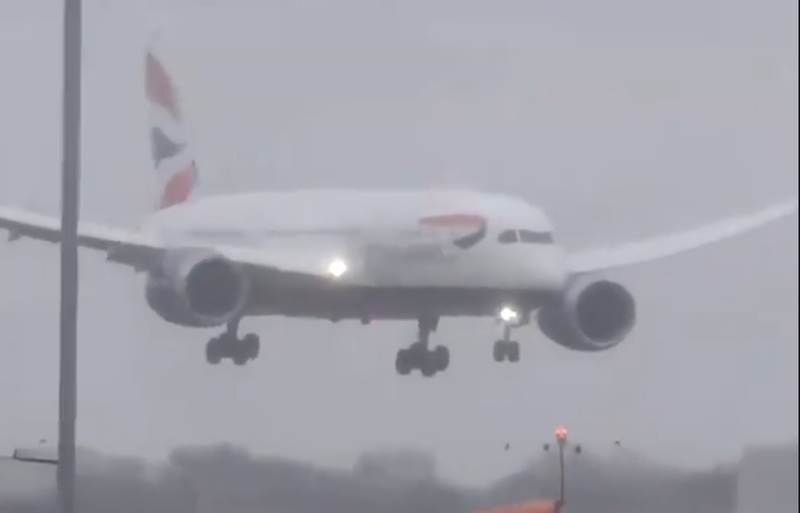 A passenger recorded the moment that gale force winds caused a British Airways flight to abort its landing at Heathrow Airport - watch the horrific moment below. Passengers scream as plane aborts landing due to strong winds / The Sun. Winds of up to 110 kilometres per hour were recorded in the area at the time of the landing. The viral video shows British Airways passengers screaming as strong winds forced a pilot to abort a landing at Heathrow Airport in London. The pilot decides to pull up and the plane rockets back into the skies before making a successful second landing. A British Airways spokesman told The Sun that their highly skilled pilots regularly train to conduct the standard manoeuvre known as a 'go around'. "The aircraft circled the airport and landed safely," the spokesperson added.